Special Olympics Michigan Area 31. Area Director Ann Victoria Hopcroft. Special Olympics Michigan Area 31 serves athletes from Iosco County, Michigan and adjacent areas. Sports include Basketball, Track and Field, Soccer, Softball, Bowling, Weight Training, Bicycling, Poly Hockey and Flag Football. Project Unify and the Young Athletes Program are expanding the reach of Area 31. Volunteers and new athletes are always welcome. Contact us here or through the Area 31 Facebook Page. Your Bucket List & Beyond. 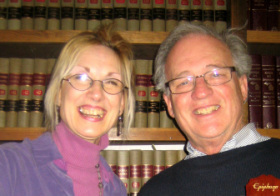 Estate Planning Dialogues with Attorneys Jerry Schmidt & Ann Victoria Hopcroft. Free seminars in which we discuss the myriad of Estate Planning Devices available including wills, trusts, durable powers of attorney, Lady Bird deeds, reverse mortgages, Medicare spend-downs, joint accounts, business transfers, DNRs, living wills, and more. Economical half-day clinics in which we help you prepare your Durable Power of Attorney for Finances, Patient Advocate Designation and simple Last Will and Testament, as well as provide an orientation on related issues such as Caring for Elderly Relatives, Lady Bird Deeds and more. Send in your contact info to be notified of upcoming events. 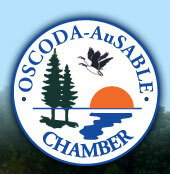 Oscoda - AuSable Chamber of Commerce. A professional organization of business leaders dedicated to meeting the needs of our members through aggressive promotion of a healthy business climate. American Business Women's Association. Northeast Sunrise Charter Chapter. To bring together business women of diverse occupations and provide opportunities for them to grow personally and professionally through leadership, education, networking support and national recognition.